Our Exhaust system is manufactured for us by Nigel at NRP Exhaust systems and is the result of many hours of ongoing dyno and track testing. Our aim is to provide a system which to conforms to current A.C.U noise regulation, whilst providing maximum power and torque. The header pipe is stainless steel, and the silencer can Titanium. All mounting brackets, supplied unfitted & retaining springs are included. 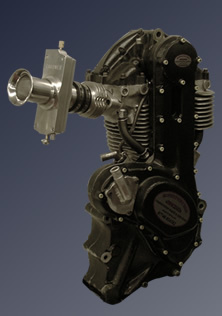 This system is primarily intended for the Mk2/3 replica Seeley chassis.